Being raised in a family where domestic violence is present can have lifelong ramifications in a child’s physical, emotional and social development. It is also the single best predictor of children growing up to fall victim to domestic abuse or act as a perpetrator themselves. The Family Justice Center aims to not only help survivors of interpersonal violence, but support their children and families as well. 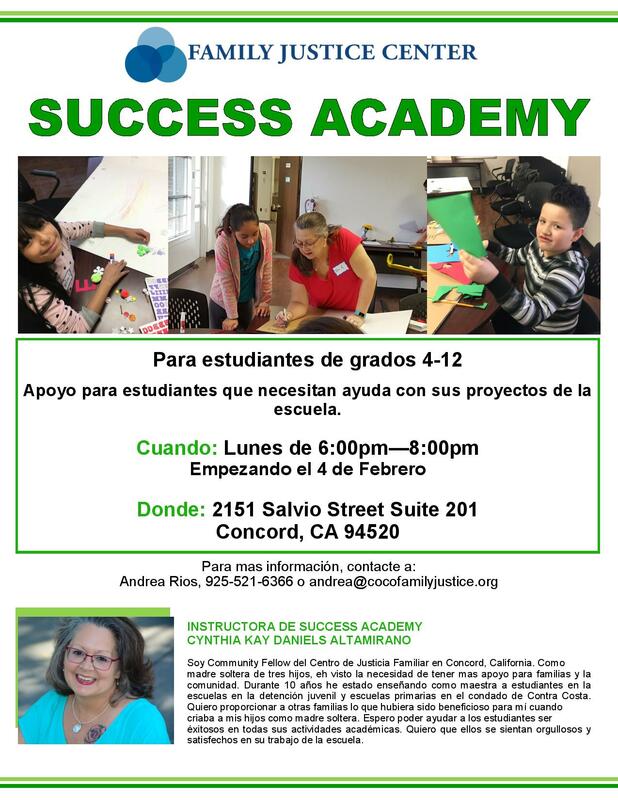 One of the ways we are working towards ending cycles of abuse in families is through our Success Academy. Success Academy is a program for children of our clients who need extra support in their school projects. Success Academy runs in conjunction with our Long Term Safety programming. While clients are in their class, their children are able to get help and support on special school projects.